Looking to start a hobby or a new lifestyle in camping but you are unsure of where to begin your search for your new camper for sale? Do you want the rugged, outdoorsy experience while keeping all of the same great characteristics and amenities of home? You need to stop into your local Airstream dealer of Ewald Airstream of Wisconsin to find the Airstream trailer for sale that is sure to do all of those things for you. With the large and diverse inventory of new Airstream campers for sale and used Airstream trailers for sale, Ewald Airstream is sure to have the Airstream for sale that is going to fit you, your wants, and your needs perfectly to provide you with all the things you desire to camp in luxury. 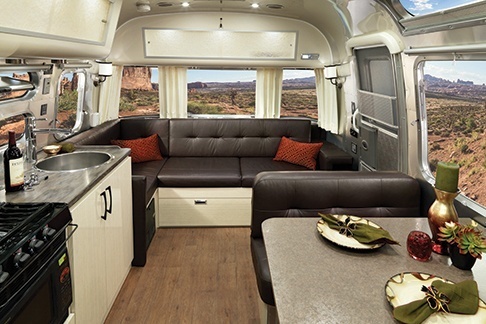 With campers that can sleep anywhere from two people comfortably all the way to sleeping six people comfortably as well, there is an Airstream that will meet everyone's needs. No matter if you are looking for your next trailer to fit you and your special someone in comfort for those adventures for the two of you, or you are looking for the larger Airstream trailer to take you and your family or friends on camping expeditions, or anything in between, you can find the Airstream at Ewald Airstream of Wisconsin to fit any need. Peace, quiet, tranquility and luxury are just a few of the things that you can find in your next camper when you come into your local Airstream dealership. Designed with the camper in mind to provide the most amount of luxury possible, the Airstream International Serenity trailer for sale combines all of the same desirable amenities of home into a rolling package that is going to rival that of a five-star hotel while giving you all the same great experiences of the great outdoors that you would get with traditional camping. With desirable additional features such as a pillow-top memory phone mattress for getting a great night's sleep after a day full of activity, or the Electric/LP Water Heater to take nice hot showers in the morning and relax, as well as the Rear View Monitoring System to see what is behind your trailer as you tow it. Offering as well a full kitchen, a full bathroom, and shower, and with a 39-gallon fresh water tank, between a 20 gallon and a 38-gallon gray water tank, as well as between an 18 gallon to 38 gallons black water tank, you need not worry about running out of water for your showers, cooking, and other things. The Airstream International camper for sale in Wisconsin offers a stylish design that allows it to tow with ease down the road with minimal drag. 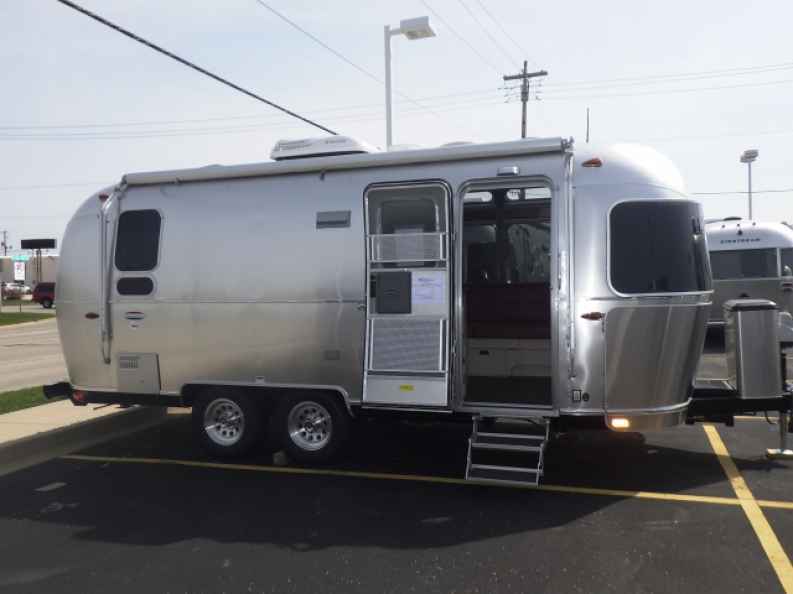 Stop into your local Airstream dealership and view all of our new Airstreams campers for sale as well as our used Airstream trailers for sale all conveniently located at Ewald’s Airstream of Wisconsin at 6319 S 108th St in Franklin WI 53132!